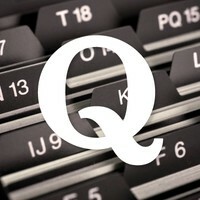 This is the official blog of the Quora's Topic Ontology team. It will be used for official announcements. We’re testing a topic page redesign right now. There shouldn’t be many changes to what you can do on topic pages although some things have been moved around. If you notice any bugs, either let me know or report a bug through the Help Center. Today we used the mapping between Wikidata entities and Quora topics to identify topics that are about people. Wikidata has a claim “instance of” and Wikidata entities about people are “instances of” “humans”. We’re using this claim to mark topics as a being about people. We recently announced that we’re mapping our topics to Wikidata entities. Today we have more than 137,000 topics mapped into Wikidata.